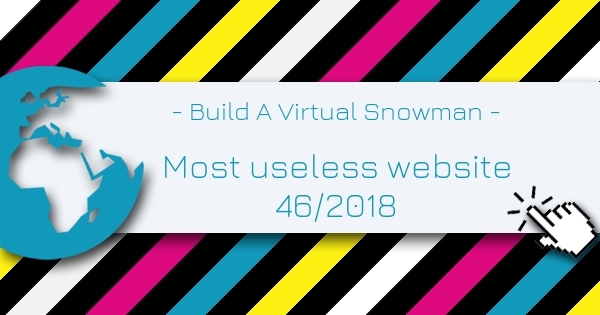 Build A Virtual Snowman is the Most Useless Website of the week 46 in 2018. This website allows you to build your own snowthingie without putting your warm clothes on and getting really cold. After you finished your snowman share your creation with your friends via social media. Snow Box allows you to build any snow sculpture. Rated 4 out of 5 based on 4 user ratings. List of the most useless websites in 2018.